Lena Hodge practices in corporate finance, mergers and acquisitions and equity capital markets (AIM and Official List). She has extensive experience advising public and private companies and US sponsors on IPOs and secondary fundraisings, M&A, public company takeovers and general corporate matters. Lena heads up the equity capital markets team in the London office. 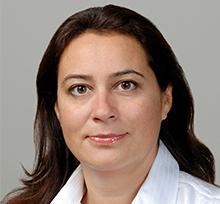 Prior to joining Brown Rudnick, Lena was a partner with Orrick, Herrington & Sutcliffe LLP. Acted for Victoria PLC on its acquisition of Italian ceramic floor manufacturer, Ceramiche Serra S.p.A., for cash consideration of up to EUR56.5 million, net of cash acquired as part of the acquisition, to be funded from Victoria PLC’s cash reserves and existing debt facilities. The transaction involved supervising and coordinating input from Italian lawyers, as another example of Brown Rudnick’s market-leading cross-border deal capabilities. Acted for Victoria PLC on its acquisition of Keraben Grupo S.A., a substantial European manufacturer of branded floor and wall ceramic tiles based in Spain, for a total consideration of EUR 274.1 million from Tensile-Keraben Holdings S.a.r.l. (an associated company for Tensile Capital Management LLC) and the founding family. Consideration was payable in cash on completion and was satisfied in part through a placing of vendor placing shares and firm placing shares to raise proceeds of approximately £180 million. The vendor placing shares and firm placing shares were placed by Cantor Fitzgerald Europe and Berenberg, as joint bookrunners, with certain existing and new institutional investors. Advised Arix Bioscience Plc, a global healthcare and life science company that sources, finances and develops both start-up and later stage companies across the healthcare and life science sectors, on its initial public offering and admission to trading on the standard segment of the Main Market of the London Stock Exchange. Arix, headquartered in London with an office in New York, raised total gross proceeds of £100 million in its oversubscribed initial public offering and on its £100million secondary fundraising. Advised Victoria Plc in relation to its acquisition of Interfloor. The transaction involved not only the usual acquisition documentation and due diligence but securing both bank and equity funding and all the complexities of such documents. The innovative approach of the sale of the Vendor Placing Shares to part-fund the deal has enabled Victoria to complete the transaction in only 5 weeks in a competition environment. Acted for the management of Chorus Law in connection with its merger into Simplify Group Limited together with Move with Us Limited, one of the largest panel management conveyancing companies, which have combined turnover of approximately £60 million and its subsequent acquisition by Palamon Private Equity. Represented Keywords Studios PLC, a leading video game globalisation and localisation company, on its IPO and the admission of its ordinary shares to trading on AIM. Represented Chengdu Geeya Technology Co. Ltd., a Chinese electronics components company, listed on the Shenzhen stock exchange on its £23 million takeover of AIM quoted Harvard International PLC. Advised the management buyout team in relation to their public to private transaction of AIM quoted Independent Media Distribution plc, specialists in TV distribution, by way of a scheme of arrangement with Vitruvian Partners LLP as the private equity backers. Advised consortium of shareholders in Victoria PLC, a carpet manufacturer, listed on the Official List of the London Stock Exchange, on its board seeking control proposal and requisition of general meeting to restructure the Board and its subsequent move to AIM. Listed in the 2016 Euromoney LMG Europe Women in Business Law Awards Shortlist for "Best in Capital Markets: Equity" and "Best in Private Equity."